00:48 - How to get better at reading. 03:12 - Keeping secrets from parents?? 06:13 - Exercises kids can do with a pull-up bar besides regular pull-ups. 08:45 - How to make time when I have homework, chores, and sports. 11:17 - How to get in condition so kids can play sports at their best and not get too tired. 11:54 - What does "GET SOME" actually mean? 14:19 - The Story: "Stand Up For Those Who Can't"
00:54 - What books should Warrior Kids read? What subjects? 03:34 - What to do someone cuts you in line. How to remember to do chores. 06:57 - Good workouts for kids. 10:35 - What to do when friends get you in trouble. 12:53 - Dealing with food allergies and missing out on treats. 14:36 - How to be more confident in sports. 17:27 - The Story: "Horrible Hill"
1. The ideas for Warrior Kid. 2. Does Uncle Jake like dogs? 3. Can you workout too much? 4. Does Uncle Jake get tired of working out? 5. Uncle Jake's workout routine. 6. 3rd Kids book? 7. Dealing with rough bullies in Jiu Jitsu class. 8. How much protein to eat to be strong. 9. How to deal with your friends moving away. 10. Dealing with a hard school assignment. 11. Dealing with being overlooked in class by teacher. 12. When is the new kids book coming out? 13. 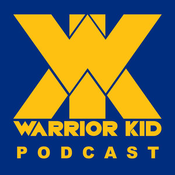 More guests on the Warrior Kid Podcast. 14. Ways to earn money as a 9 year old. 15. Story from Uncle Jake. 0:00:51 - How to Handle team mates not performing. 0:03:08 - Favorite Jiu Jitsu Moves 0:05:02 - Is Gi or No-Gi better (Jiu Jitsu)? 0:06:21 - How to get over fear of the dark. 0:08:54 - Lesson from Mikey and the Dragons, book. 0:15:31 - Story from Uncle Jake. Decisions. 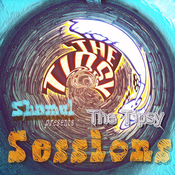 Lyt til Warrior Kid Podcast, Tipsy Sessions og mange andre stationer fra hele verden med app'en radio.dk.